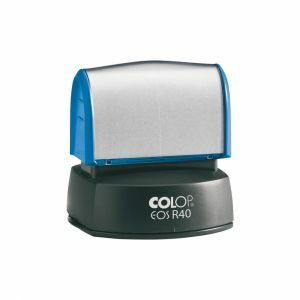 Colop pre ink stamps give thousands of precise, clean imprints before reinking. 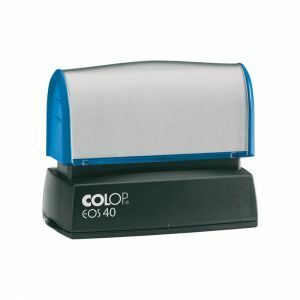 Pre ink stamps are available in larger sizes ( up to 114 x 89 mm ) than self inking stamps. 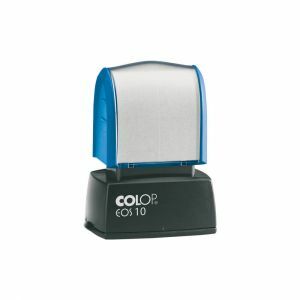 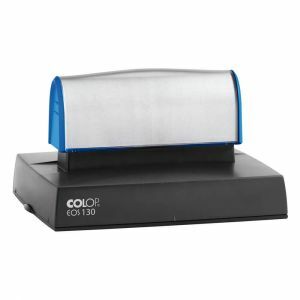 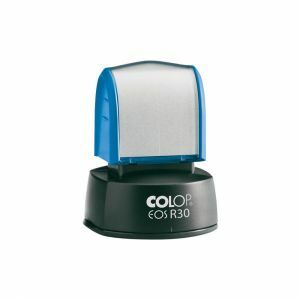 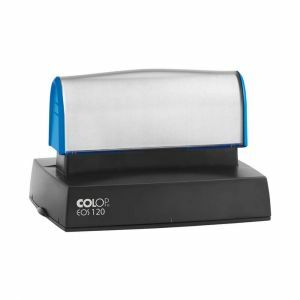 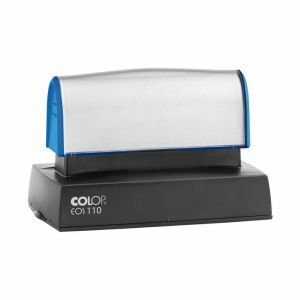 Colop EOS pre ink stamps are made of minimum 80 % recycled plastics. 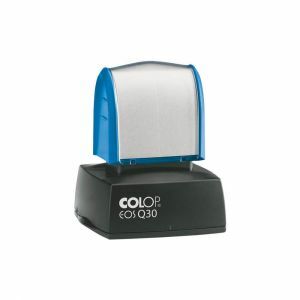 The smallest rectangle pre inking stamp for up to 3 lines of text. 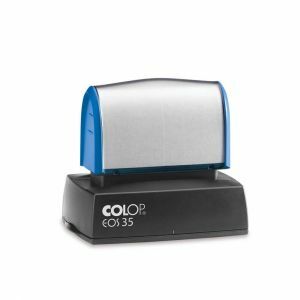 Ideal as a check stamp or for a small logo up to 16 mm in diameter. 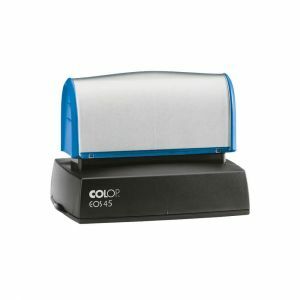 A good size for logos with contact details. 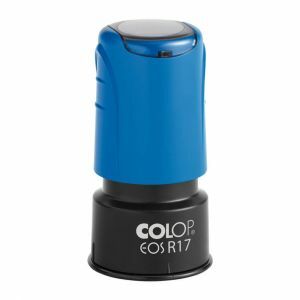 The diameter is 28 mm with up to 5 lines of text or logo. 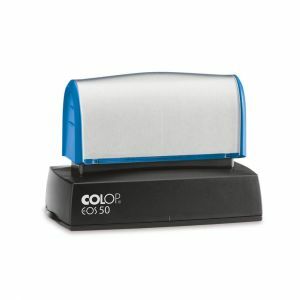 The square format at 30 x 30 mm is a good size for logos and messages. 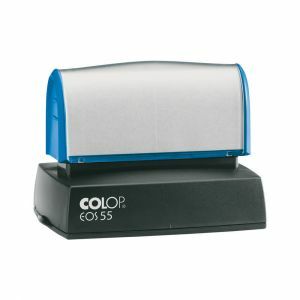 At 97 x 46 mm this size is ideal for accounts or despatch departments that require data entry. 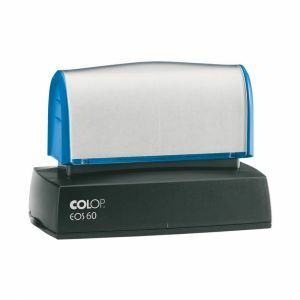 At 59 x 79 mm this size is ideal for accounts or despatch departments that require data entry. 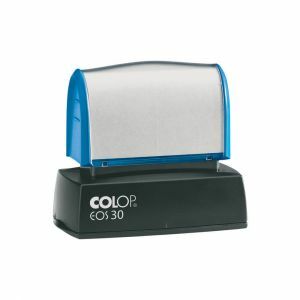 At 49 x 74 mm this size is ideal for accounts or despatch departments that require data entry. 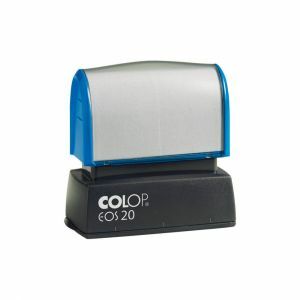 This extra large size pre ink at 114 x 88 mm is ideal for tables or data entry for accounts or despatch etc.